While we all like to think that our homes and communities are safe there is virtually no place in the world totally immune from the threat of crime. With a little bit of pre-planning it is easy to greatly reduce the risk that you or your family will become the victim of a crime at home. In this guide to the top ten tips for home security, we lay out some simple strategies for making your home safe and comfortable. Having some sort of fencing around your house can reduce the possibility of intruders even bothering to attempt to breach your property. While it is true that the average wooden or wire fence is far from impenetrable, it will create a barrier that potential intruders must cross, which increases the risk of them being seen or heard. This alone may be enough to ward off many potential threats. 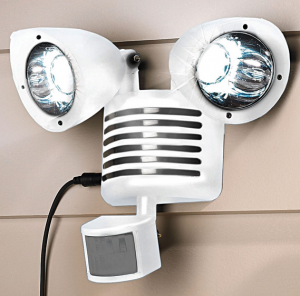 Motion activated flood lights are an inexpensive and effective way to create a parameter of visibility around your house. If anyone steps too close to the floodlights they will immediately be exposed by a large swath of illumination. This has the added benefit of causing a brief disorientation. These days it is easier than ever to afford home security. If you do not want to deal with the cost and hassle of having a centralized home security system installed there are a wide range of decentralized security and alarm devices that do not require a monthly fee or subscription and operate off of battery power. Coordinating security with neighbors is key to keeping yourself, your family and your neighborhood safe. 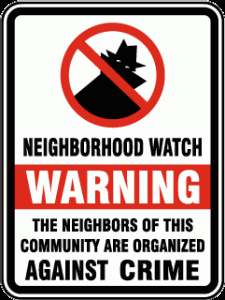 If your neighborhood does not have a watch program then have a chat with your neighbors about your routine and how you can best coordinate for mutual safety. While most people think of guard pets as vicious dogs, many animals such as cats and birds can be trained to alert you to the presence of an intruder. This can be accomplished with home training or the help of a professional if need be. 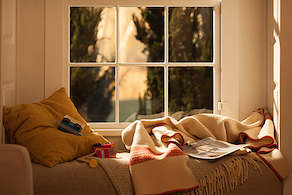 Cutting down on outside visibility is a simple way to make harder for any potential intruders to become aware of your schedule. This sort of inconvenience to their plans will make you difficult to target. 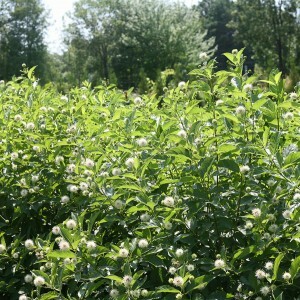 Plan your landscape shrubs to maintain your privacy but not offer hiding places for intruders. While most thieves are more interested in things like jewelry and electronic, there is a market for used lawn care equipment and some will even steal your deck furniture if they are desperate enough. Be sure to keep your outdoor valuable secured in a garage or shed. It is important to integrate good safety habits into your daily routine. When you wake up in the morning take walk around the house to make sure nothing has been broken into, start checking your locks before you leave for work and always be wary of anything unusual. When you leave for a vacation or business trip be sure to notify a trusted neighbor and make sure that they clean any debris that might alert others to your absence. It never hurts to have a peephole installed or an extra deadbolt. There are also removable door jams that you can use to quickly bolt your door from the bottom should someone try to force their way in. Most of these additions are inexpensive and effective. These ten simple ways you can implement effective home security will decrease your chances of being victimized by bad guys such as vandals and thieves. Stay safe at home!